The cryptocurrency market, already reeling from a free-fall in the values of key digital currencies, was dealt another blow on Friday as officials at South Korea's No. 1 cryptocurrency exchange were indicted for offering fraudulent transactions and swindling money from investors. The three officials at Upbit -- a board chairman, a financial director and a working-level official -- allegedly opened a fake account around September last year and made bogus orders worth 254 trillion won ($226.2 billion) over a period of about two months to inflate the currency transactions and lure more customers, according to the Seoul Southern Seoul District Prosecutors' Office. While rigging transactions, they actually sold 11,550 bitcoins to around 26,000 customers and pocketed 150 billion won, according to the prosecutors. 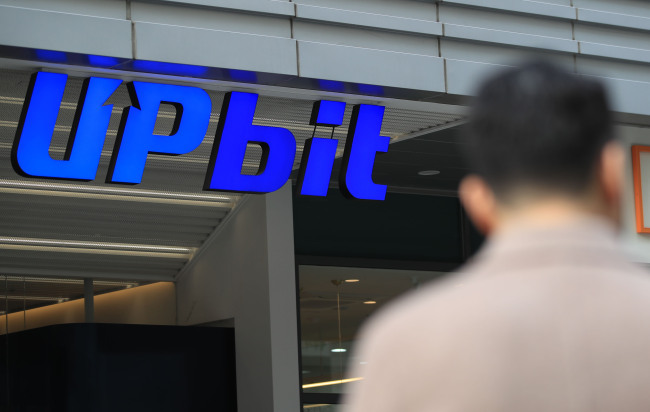 Upbit, however, strongly denies the allegations, claiming that the opening of the corporate account was aimed at "adding liquidity" to the market at the early stage of its service launch, and that it never pocketed any financial gains through such business practices. Upbit is the No. 1 operator in South Korea, with a market share of over 50 percent. Globally, it has become a third largest exchange in terms of trade volume, reaching $241 million in December, according to the Blockchain Transparency Institute. It is the latest in a series of such fraudulent cases by cryptocurrency exchanges here. Earlier this year, 11 workers at three operators here were detained on fraud and embezzlement charges.